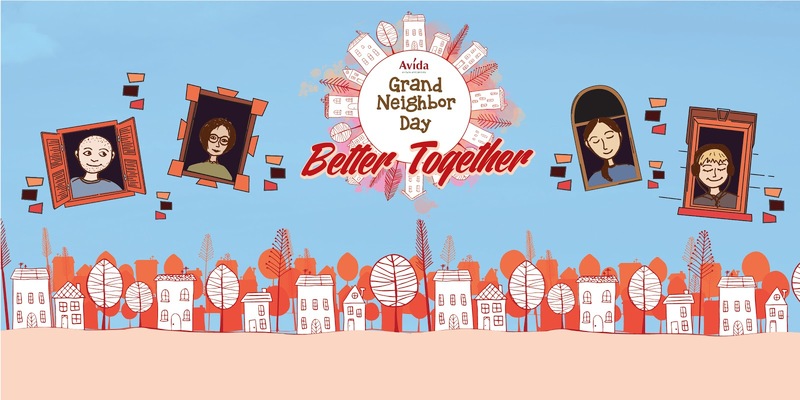 Avida Land, one of the leading mid-market real estate developers is set to host the second Grand Neighbor Day on October 28, 2017. This is in line with the company's dedication to bridge connection and foster camaraderie among its community. The afternoon festivities will highlight the importance of being a good neighbor to build better and inspired communities. And to make things more exciting, Avida will go further and, go beyond the distance and bridge the communities in Metro Manila to the communities in Batangas, and all the way to Cagayan de Oro encompassing both condominium and house and lot communities. "The 2nd year of the Avida Grand Neighbor Day is part of our commitment in instilling within our residents and communities from across the nation a deep sense of neighborliness with their neighbors. we believe that fostering good relationships with people who live in the same area is a vital component of what makes a great neighborhood. It's the formula that allows Avida to flourish and stand out as real estate developer that many will aspire to be a part of," said Avida Marketing Head, Tessa Tatco. The event is also in partnership with NutriAsia. The fun-filled day includes games and activities that will create a sense of trust and security among the neighbors. "We are again placing a huge emphasis on creating social connections because it is what continually gives us meaning and happiness especially in this digital age that we found ourselves in. And nothing really compares in having a neighbor next door that you can count on anytime. This is why we're hosting exciting community games that will allow Avida communities to interact from each other in a fun and joyful way," continued Tatco. This is also a milestone for Avida as it celebrates its exponential growth of Avida communities in different areas across the country for the past year. There are currently 59 live communities with 30,650 homeowners. Anchored on the vision of Ayala Land to provide sustainable communities, Avida Land continuously pours its effort to be a part of this mission- to provide dream communities, that's not just a house, but a home of happy and inspired residents. And by enhancing the life of its residents, Avida also looks to improve the quality of life outside the communities of Avida- which results to a community that many will aspire to be a part of.